Highly pathogenic avian influenza (HPAI) is economically devastating for commercial and backyard producers alike, especially in developing countries where poultry is often a mainstay of poor households. If the virus became pandemic in the human population, it would be catastrophic in more than economic terms—and across more than just the developing world. To ensure that HPAI does not evolve into a human health crisis, the STOP AI project provided technical resources and support services in preparedness planning, surveillance, and prevention; outbreak response; and re-infection prevention and recovery. STOP AI was an emergency preparation, response, and recovery project, supported by DAI’s proven capabilities in mobilizing and deploying teams worldwide, and facilitated by robust information and communication, knowledge management, and geographic information systems. Working with U.S. Government agencies, national governments, international and nongovernmental organizations (NGOs), and a roster of deployable veterinarians and other health experts, the project detected, responded to, and contained HPAI outbreaks. Improve global availability of technical experts who are appropriately qualified and trained in internationally accepted procedures for addressing HPAI outbreaks in animals. Increase use of internationally accepted practices for animal and human disease control. Provide reliable and timely logistical support to facilitate international assistance to countries affected by the H5N1 virus. Delivered training and technical assistance in 49 countries. Trained more than 15,000 participants in surveillance, biosecurity, outbreak response, and pandemic planning. Worked locally with 34 local organizations, NGOs, and other entities to implement technical assistance activities. Built capacity of human and animal health professionals, public and private veterinarians, commercial poultry farmers, live bird market operators, local organizations, and intergovernmental agencies. Assisted with outbreak response in Ghana, Benin, Nigeria, and Nepal. Helped build public-private partnerships in Bangladesh, Egypt, Nepal, and West Africa. 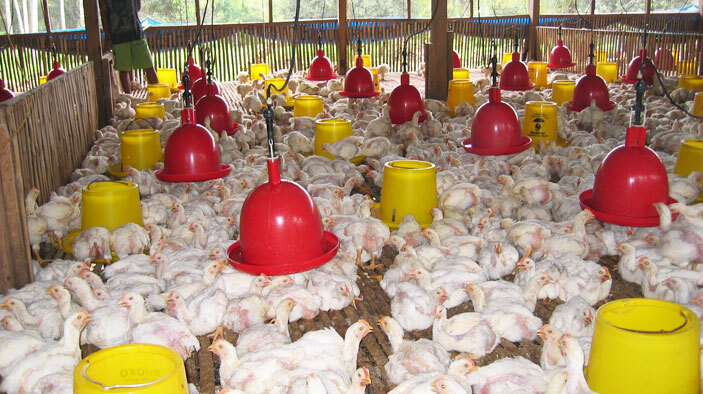 Strengthened biosecurity along the poultry value chain in Vietnam. Enhanced pandemic preparedness at the national and municipal levels throughout Latin America and the Caribbean.